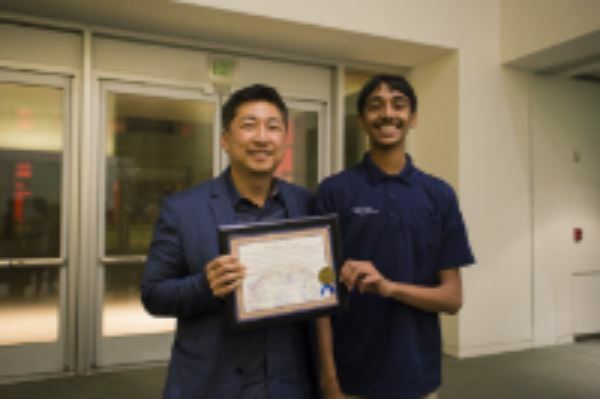 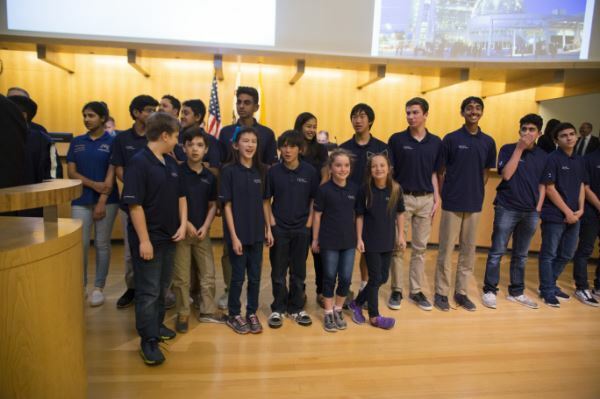 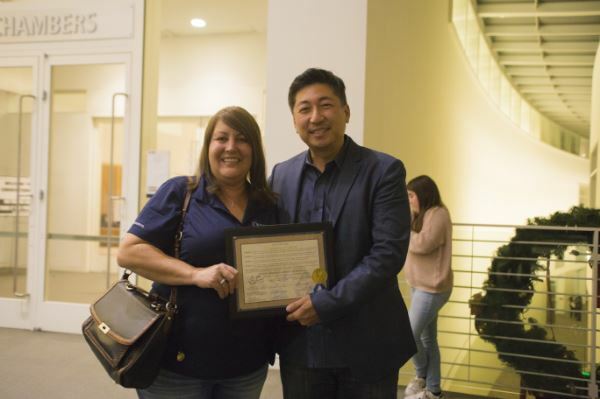 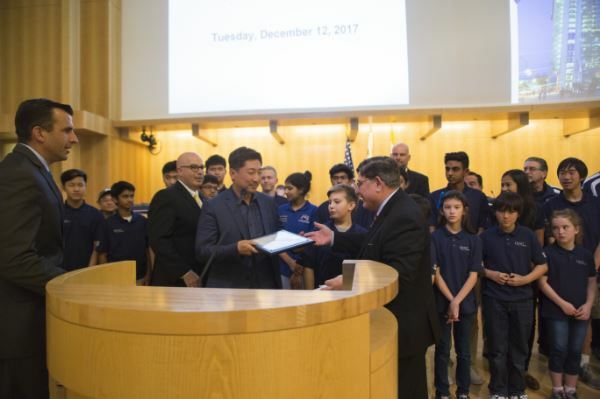 On Tuesday, December 12, Valley Christian Schools International Space Station (ISS) Program received a commendation from the San Jose Mayor’s Office. 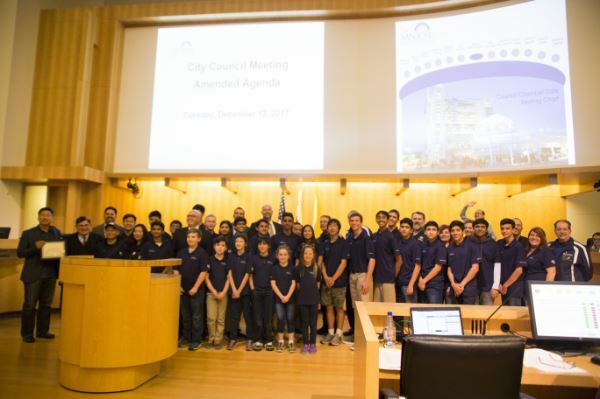 Valley Christian Schools President, Dr. Clifford Daugherty and the VP of AMSE, Danny Kim, were accompanied by a group of ISS students, teachers, and program mentors who proudly represented VCS on the council chamber floor. 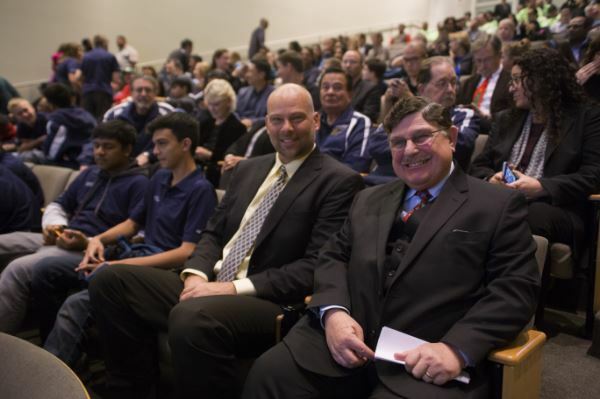 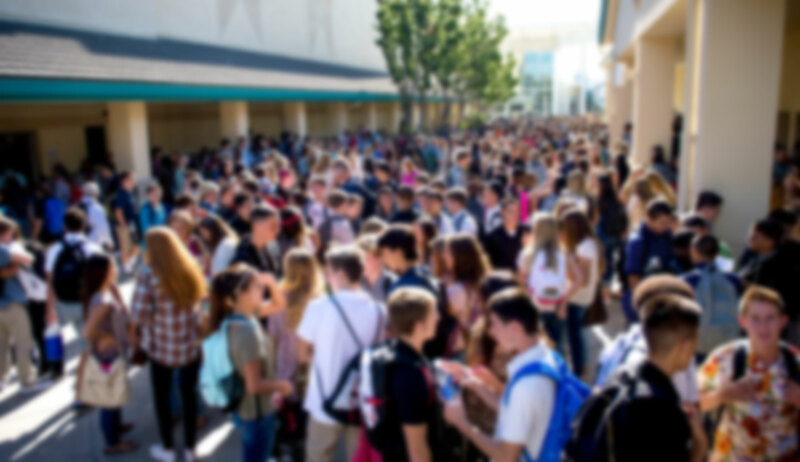 During the award presentation, Councilmember Johnny Khamis stated that, through the Quest Institute, VCS expanded its program to surrounding schools, both public and private. 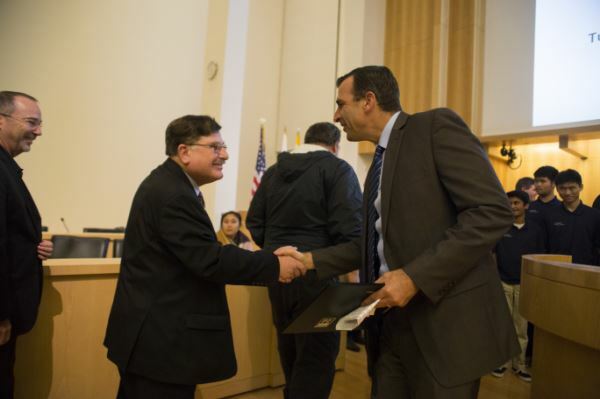 Special thanks to Mayor Sam Liccardo, Councilmember Johnny Khamis, and the entire City Council staff for this prestigious honor.